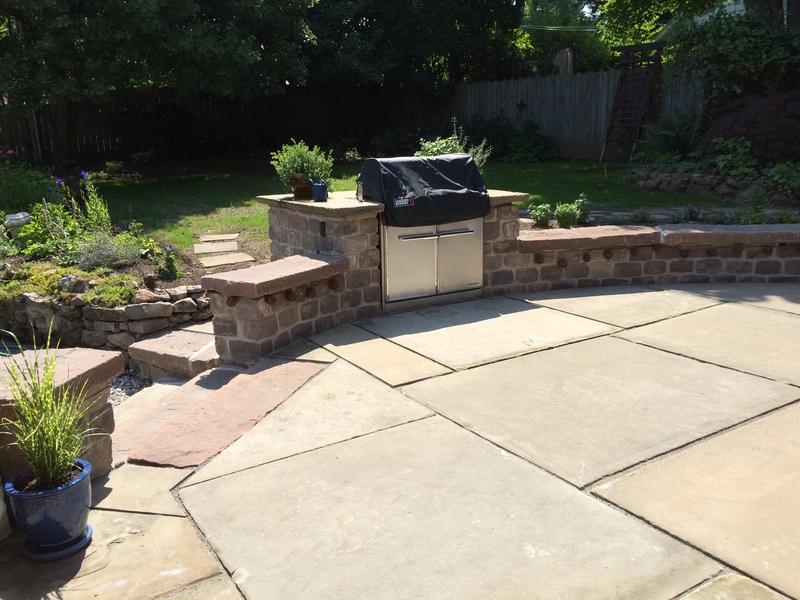 Massive 6' x 5' slabs of worn sandstone sidewalk make incredible patios. Sandstone curbing was used as a seating wall cap and sandstone cobbles as wall material. We have a limited supply of the sidewalk slabs but large quantities of curbing and cobbles.